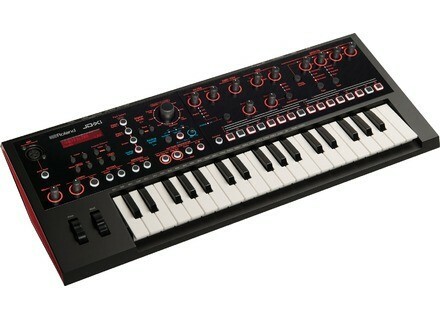 JD-Xi, Hybrid synthesizer from Roland. I’ve tried the JD-Xi at length for almost a month, but I haven’t kept it in the end. It’s a nice small synth with many an asset but also too many flaws (some related to its youth maybe?) led me to return it. It’s a real pity as this small machine is very inspiring, you reach very interesting results in no time and the more you play the more you feel like a great musician – and you don’t see time pass! I won’t get much into its look or minikeys – you like it or don’t – but the keys are not what disturbed me most. 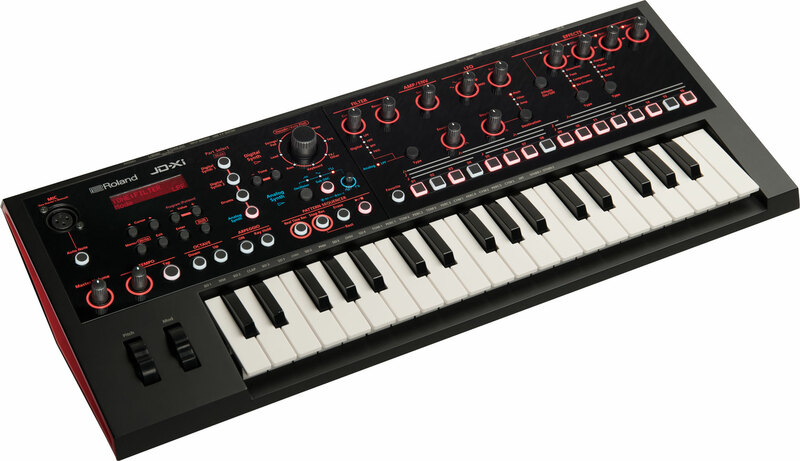 -the digital part with absolutely awesome sounds that remind of Roland (how logical! ), the pads are perfect, warm-sounding and very expressive. -the analog part: it’s a great news that Roland has gotten less stubborn and FINALLY accepts to go back to analog, but don’t expect anything exceptional either – it does the job, nothing more or less than that. Now, it’s not bad at all for bass lines. The DCO is reminiscent of Roland’s great era of the 70s-80s, though it’s not as juicy as a VCO, or even the Juno-60’s DCO which is a role model. Please note that the filter sounds much better since the latest update, it’s more musical very much more efficient, but most important, compared with the Prophet-600 (before the GliGli mod, for those in the know) you no longer hear these unpleasant steps when closing the filter with a high resonance setting. -the shiny surface is VERY FRAGILE (it easily gets scratched) ans seems to attract all sorts of dusts you could imagine. -the red-over-black inscriptions are impossible to read with a dim light (but not only), and the mirror effects only makes things worse and initially I had to keep a pocket torch around!